Cream Pearl control panel only for H500/1-62, -63, -64 Club Bass & Club CV. Will fit many vintage Hofner guitars. 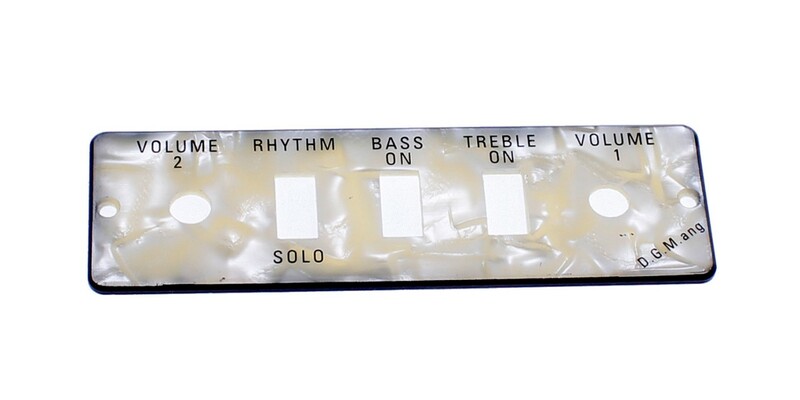 Cream Pearl control panel plate only for H500/1-62, -63, -64, Club Bass & Club CV. Will fit many vintage Hofner guitars.